Stance socks are all the rage in action sports right now. 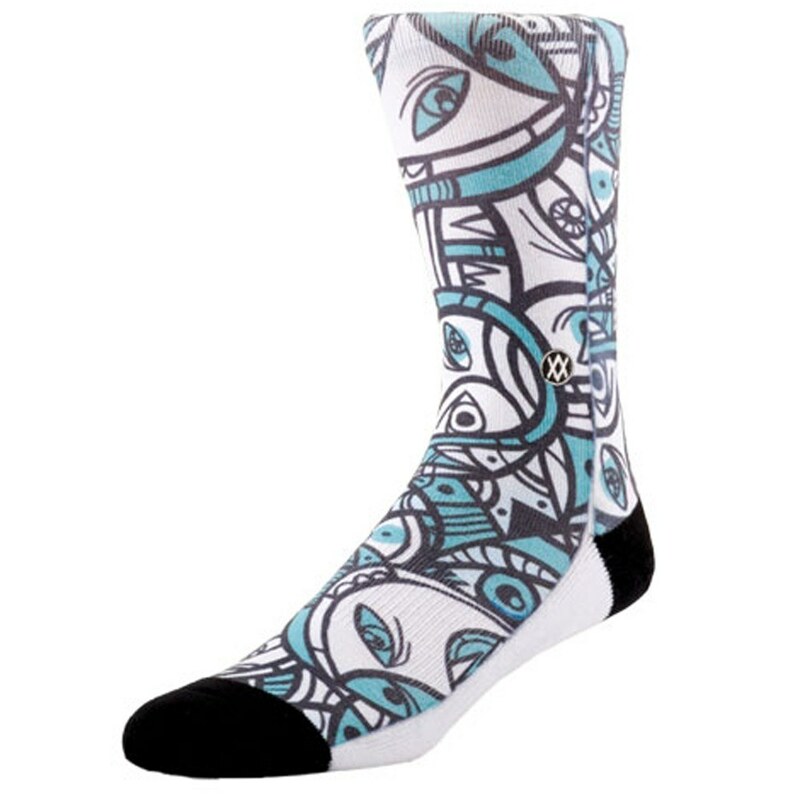 After seeing Jamie Thomas tweet about them, I checked out their site and found the Don Pendleton Artist Series socks! Don is my favorite skate artist. One of his original paintings hangs in my house and I have a tattoo of the Rob Dyrdek Owl under my elbow. Like many things, I find out a little late and have to go digging. This pair is from a 2011 season. Luckily I found a site with both Small-Medium (6-8.5) and Large-XLarge (9-12). Not all of Stance socks are Vegan. However all of the Artist Series are 36% Cotton 58% Polyester and 6% Spandex. Stance also sells a Performance line, with little paddings on the soles. WEARTESTED did a review in September of last year and gave a great review. The Performance line is also all Vegan, so after I try a pair I’ll add my two-cents.